a. 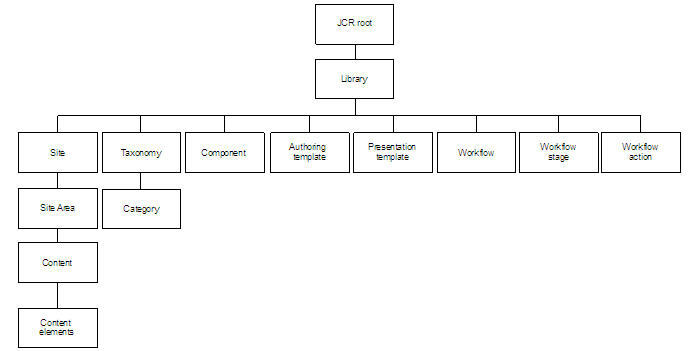 Inside JCR, WCM libraries are organized in a hierarchy with a common root. 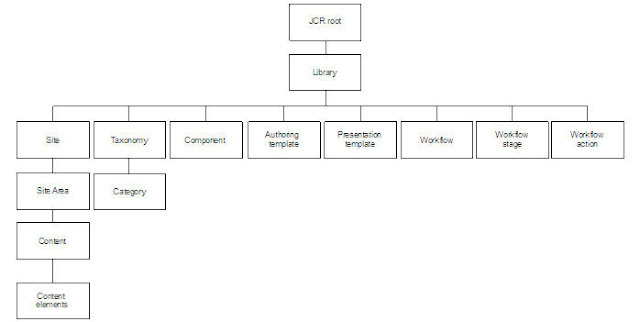 The security roles set on the content library root are propagated to all libraries. 2. There are three levels of access controls for web content . a. Library : Library level access controls determine access to the library as a whole. b. Item type per library : Item Type access controls define the item type views and tasks a user can access within the authoring portlet for particular library. ii. In production, not all user groups need to access every WCM feature. Like content authors doesn’t require “authoring templates” or “workflow” views..etc. By setting permissions at the item types we can accomplish use cases like that. c. Item level : Item level access controls define the actions that a user can perform on an individual item. i. library security is propagated by default to the library items. However, it is possible to override those permissions at the item level. iii. Five different access levels (user, contributor, editor , manager and Approver) can be granted to every WCM item (Approver is only for the items that participate in workflow).